This particular clone of Onc. Gower Ramsey is so unique that it has been patented in Japan ! 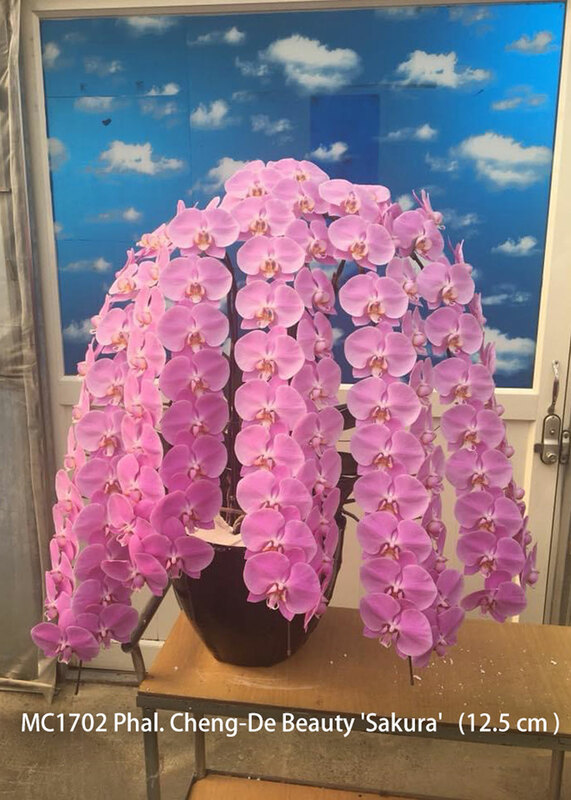 The result of a great mutation from the original Onc. Gower Ramsey, it produces a brilliant display of concolor bright yellow 1” flowers on a more compact branching spike with a smaller growth habit. 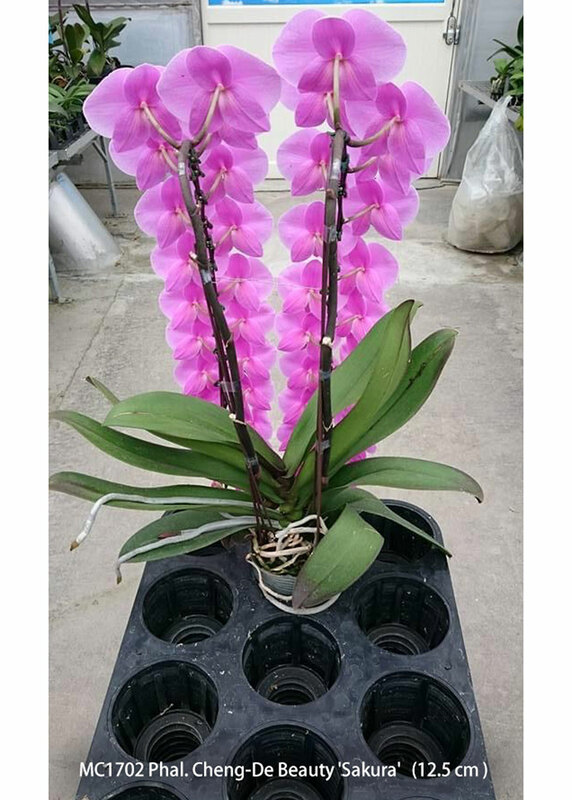 When it received its American Orchid Society award, it wowed the judges with over 1000 flowers and buds on five heavily branched inflorescences ! 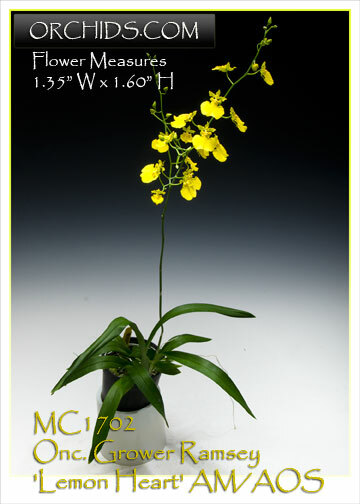 A free-bloomer which flowers on every new growth, it has become the #1 Oncidium cut flower in Japan. Highly Recommended !